Products and Podcasts and Goodies, Oh My! From Intuition to Spirit Guides to Business to Podcasts - it's all here! But that’s not what you need. You need someone who’s ‘been there, done that’ to tame that information overload! 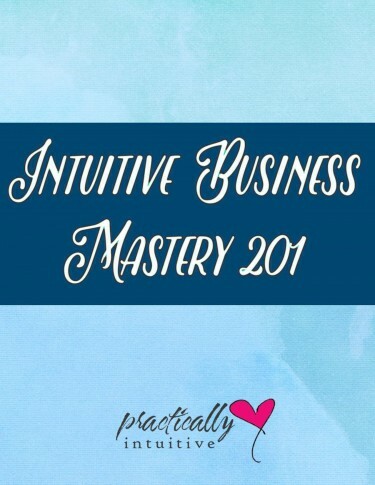 Intuitive Business Mastery 201 covers just what you need and nothing else. → Information that will save you time and money in your business. Call #2: How to follow-up with your clients and prospective clients so they feel seen and supported and you don’t feel drained. Call #4: How to run your own Facebook Group as part of your marketing pipeline. to a more focused and organized business in no time! If you’re a regular reader of Practically Intuitive, it’s probably not news to you that we all have a team of Spirit Guides, right? And it’s probably not news to you that life is easier and better when you work with your team, right? Do you know just how to do that, though? * Or do you just say nothing and wonder how come everyone else seems to communicate with their Guides just fine? Yeah, I know. It’s hard to figure it out where to begin with that. Even when you try and do it, sometimes you just can’t get on their wavelength. The thing is: your Guides are speaking to you in response to every time you pray or ask for something. The question is, do you know what’s being said back to you? Are you taking advantage of the abundance of guidance, support and love that’s immediately and readily available to you at all times? If you’re not, you are missing out on something that comes from those who know you at soul level and is tailored *just for you* – no random content from your Guides! Just specific and helpful actions, suggestions and guidance. Working with your Guides is easy once you know how to do it in a way that fits YOU perfectly. Recorded in April 2012, it’s packed with information, exercises and discussion about Spirit Guides and how to work with them. You’ll receive immediate access to these recordings for download into your personal library. Get 3 one-hour MP3s of the class which includes teaching, exercises you can use over and over again and question & answers on the topics PLUS the class notes in PDF format to follow along. I live by my intuition every day and my life is going places that I used to only dream of. Yours can, too! 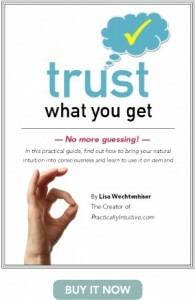 My e-book, Trust What You Get, shows you how you can get from here to there. Learn how to trust the information you get when you tune in to guidance so you can get that wisdom *on demand*. I’ll show you some methodical ways to bring your intuition into consciousness, hone it and then use it in your everyday life. You can integrate these skills however they fit into your life. Not everyone is meant to be a practitioner, a medium or an energy healer, but everyone can benefit from knowing exactly how and when to receive and act on that inner knowing. Intuition manifests itself in many different ways. You can have it come full force if you want, or just get what you need. This instant downloadable PDF contains over 35 pages of solid tips and techniques, homework and exercises -you’ll learn to use your intuition on demand no matter at what age or what level you’re starting out from. What IS intuition and what does it look like? Take a step forward and learn more about taking charge of your life by empowering the use of your intuition. Download it now and get started! Just $10 for a limited time! Take a listen to some of these podcasts I’ve recorded in the past! Where did all the podcasts go? Podcast #52: You say goodbye and I say hello! Podcast #51: What’s Simmering Inside You? Podcast #49: Boundaries – gotta love ’em! Podcast #47: What’s the big deal about coaches, anyway? (UBC) Podcast #44: If you don’t want to hear the answer, don’t ask the question. Podcast #43: Three Guesses What Stands Between You and Success! Podcast #42: What does your soul long to do? Podcast #39: Free GPS – Get Yours Now! 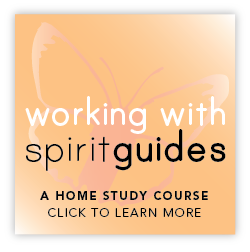 Podcast #37: Special Assignment Spirit Guides – Have you asked for yours yet? Podcast #32: How do I get there from here? Podcast #31: Are you giving away your personal power? Podcast #30: Intuitive Readings: What’s the point?? Podcast #27: Aint no shortcuts, no-how: Willing to do the work it takes? Podcast #12: Guides and Angels do different things, right? Weekly Podcast #4: Toxic Cords and why they need to go! Weekly Podcast #3: Spirit Guides and You! Soul Sisters on the Intuitive Wavelength ride again!